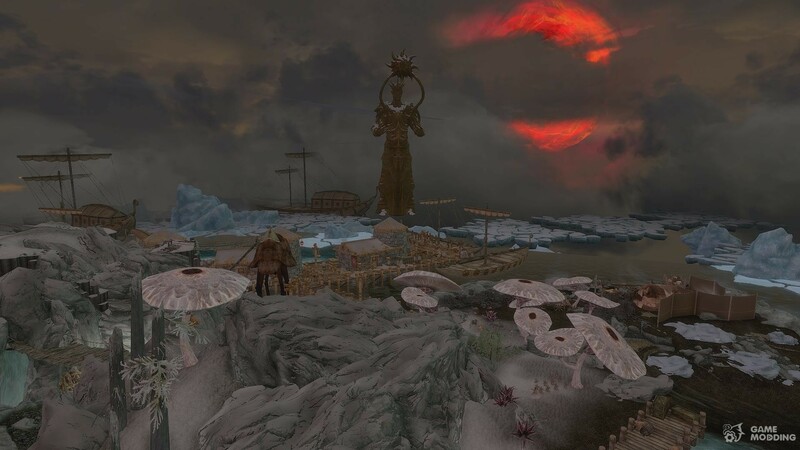 I've made my hidden Stilshrine Lava area which is roughly 80% complete, Also I've added a frozen ravine beyond the docks, you cant miss it, the cloud covered mountains past the Coast location.. Don't worry about that epic bridge right now, you cant get up there yet!! however i'm quite pleased with my Spooky little cottage in that area.. ( there's a trapdoor you cant use yet either, But it will have a very spooky feel to it!! I'm sure I've added afew other pieces as well but mostly just set dressing, like new weather, and a map marker or two. 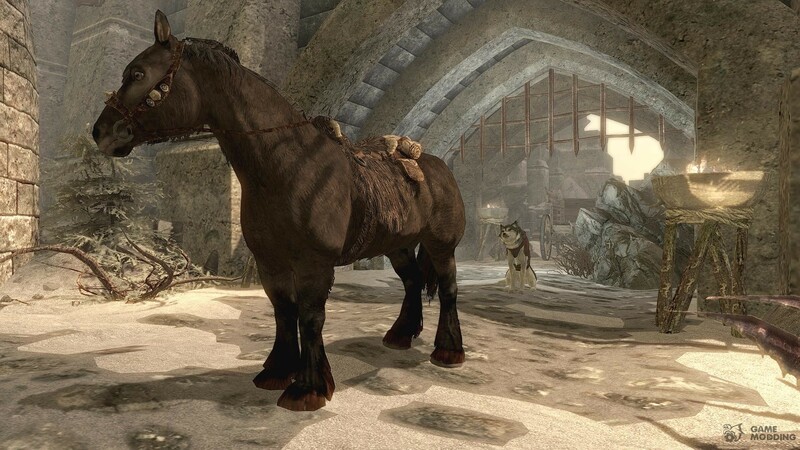 And don't forget the new Wintertooth Imperial Camp.. it has all the needs you could ask for. thou it is the latest area in progress.. around 40%.. Im pleased with the results. and I hope that you will be too. 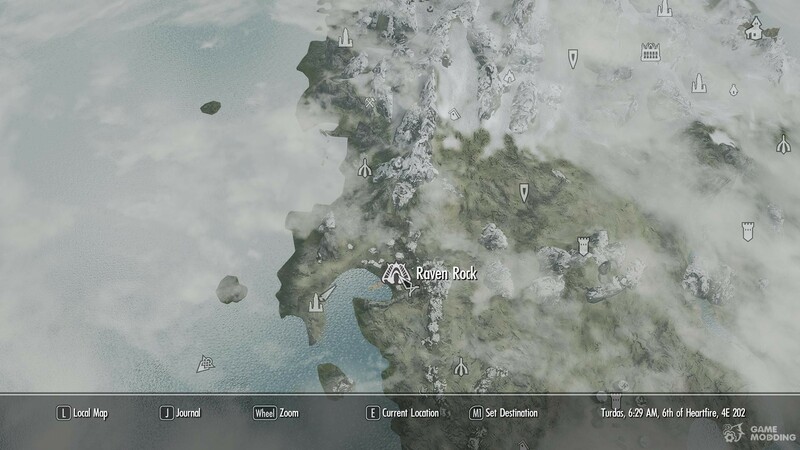 To start Ashenguard, go to the Raven Rock Dock in Solstheim. There, look out to sea, and see the new ship docked there? well you can't miss it really! 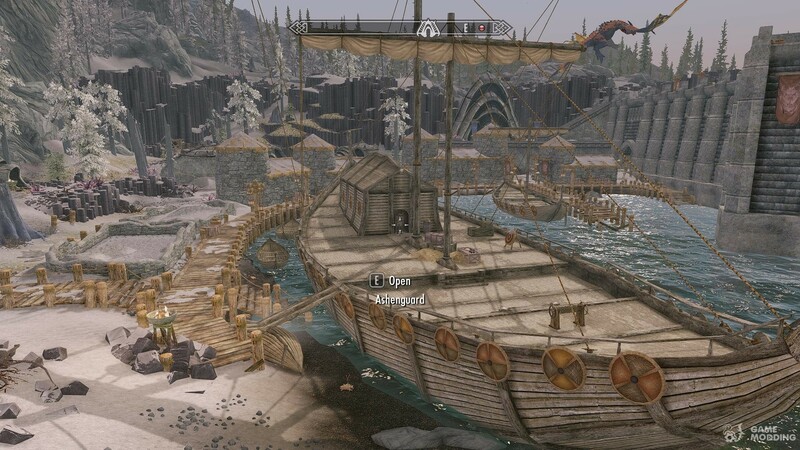 its at the end of the main wharf in the opposite direction of the other boats already there in Solstheim. Get on the boat and then you can either enter the trapdoor to go into the ship for a new interior* or you can skip this if you really want to though I advise that you give it a look :) then enter the main door on the ship. 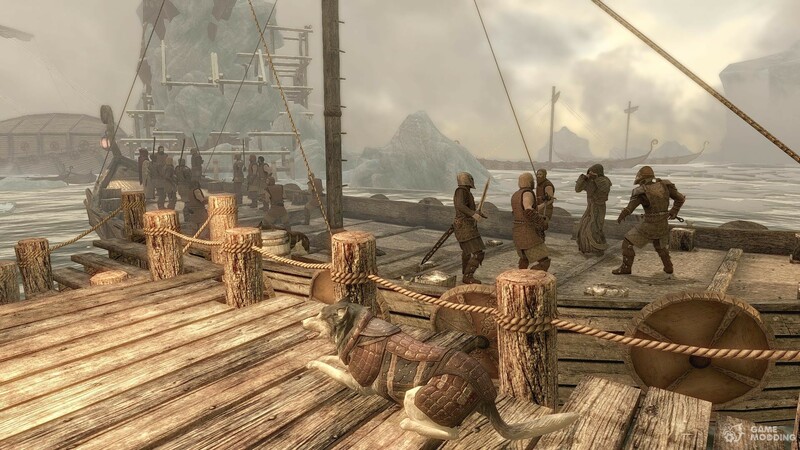 Artic Rim: The North-eastern edge of Ashenguard is home to the coastal docks and guard Outpost. 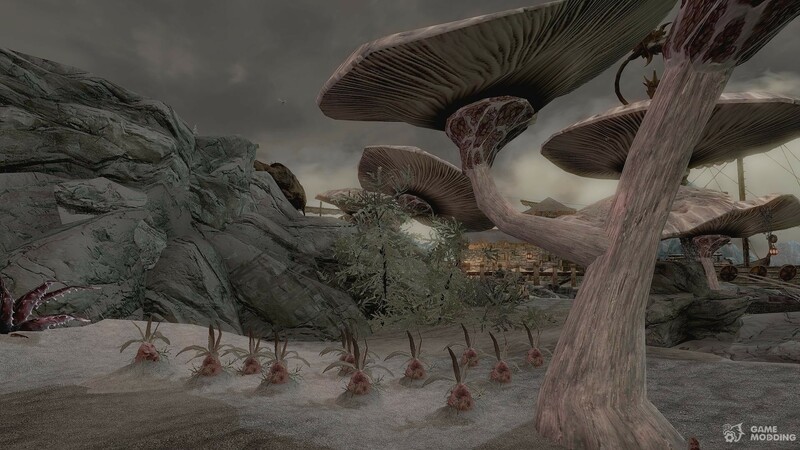 It is also the region where you will most likely find horkers due to the climate and conditions that they most favour. 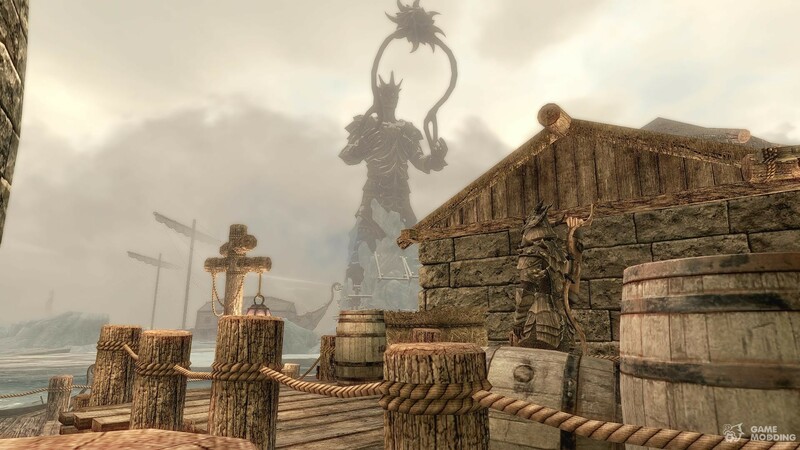 Dawnguard Towers: Also on the Northern side of the continent are the Dawnguard Towers' a sight to behold to be sure yet ancient and left abandoned for centuries..
Hammershield Coast: On the Southern side of Ashenguard lays the Hammershield Coast, a perfect spot for finding treasure and fishing at the waters edge. 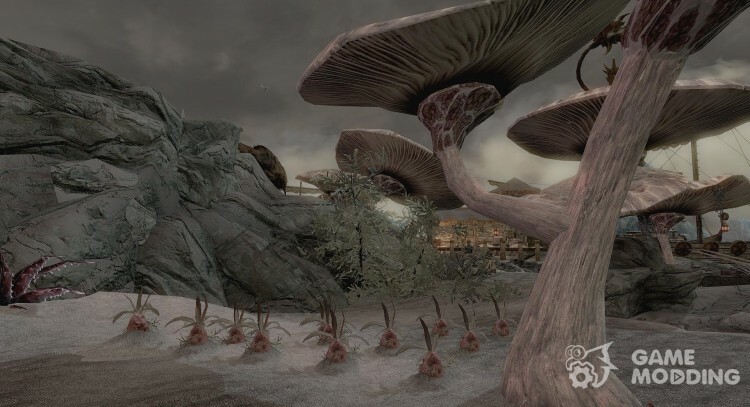 Khajjit caravans regularly setup shop here and trade their wares, it is also home to various fauna and variants of the humble mudcrab. Not to mention out in the ice fields to the south West is home to the Netch. and beyond that.. past the cataracts is said to be mammoths. The Cataracts: These frozen glaciers spout impressive waterfalls, and are known to be the areas that fish seem to breed in and around it's icy lakes. 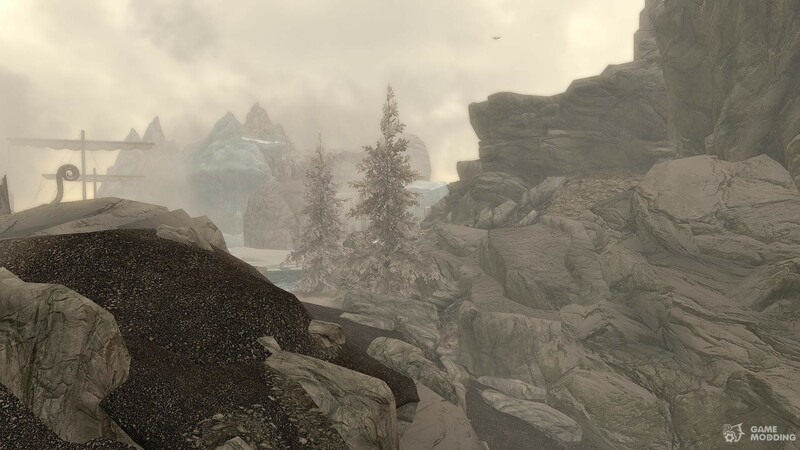 Mammoth's can be seen on the far southwest of the giant frozen peaks. Many ships have crashed around these icy rocks and remains of afew can be seen frozen in time.. The Redoran Docks: Here is the beating heart of the town, where the ships from all over come to dock. This area is home to the general store, your player hearth, the Blacksmith's, and a comforting view of the seas.. Statue of Colossus: Out to the east of the general store, you can see the massive golden statue being constructed out to sea.. the icy winds and chilly conditions add the workload by freezing up the statue as it's construction goes on, and thus you will see workers out there fighting off the ice as well as constructing the Collossus. 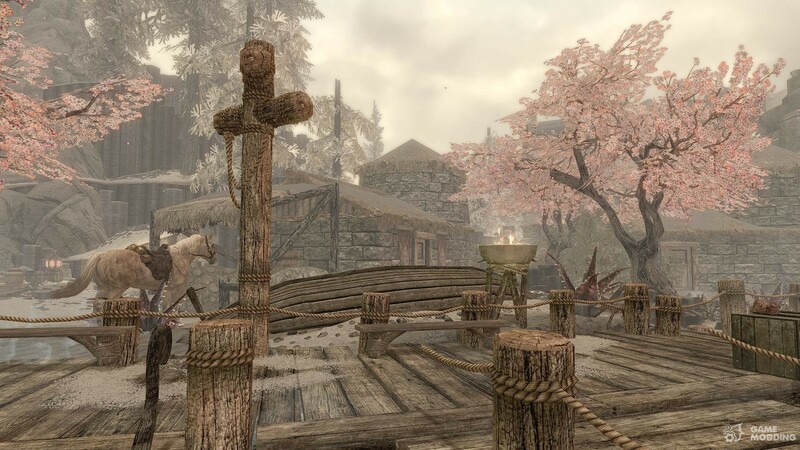 The town Square: Here is the small terrace district of the city where the Jarl's meet up to discuss matters of policy under the protection of the Guard. It also houses the main entrance into Ashenguard which is in need of major repair as rocks from the mountains have collapsed, nearly closing off entrance into the city from the northern side. Not to mention the Bulwark that has been placed around the northern entrance of the city to shield the terrace from the constant ash storms that would otherwise engulf Ashenguard. 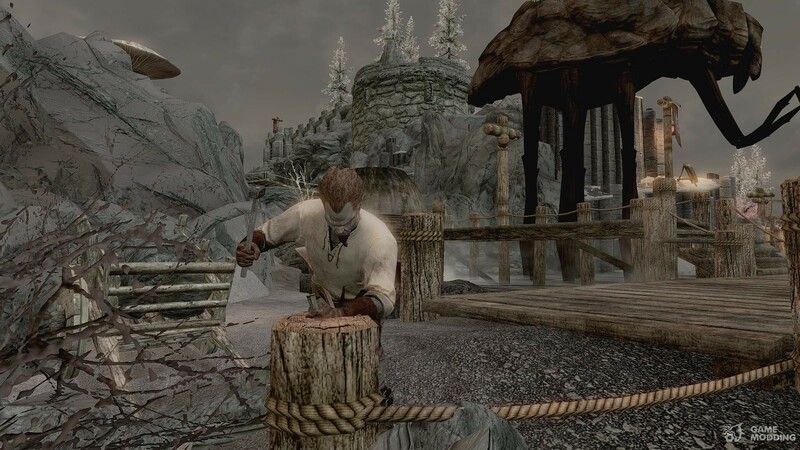 visit, and shop at the markets, get training from the local trainers, use the various blacksmith shops to buy & sell your wares, see the sights, kill a bunch of monsters of various degrees of difficulty, find hidden areas and Easter eggs.. and even take a boat from here back to solstheim & visa versa..